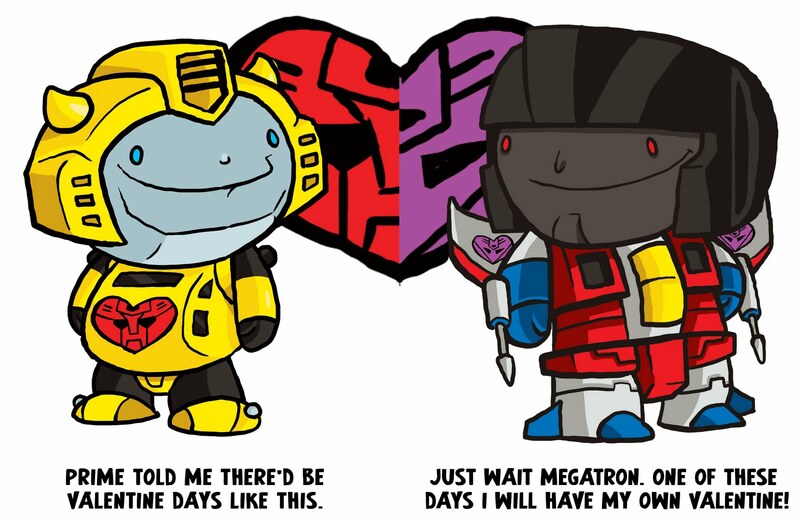 We’ve already been lucky enough to look at some of James Stowe’s Star Wars Valentine’s Day cards. 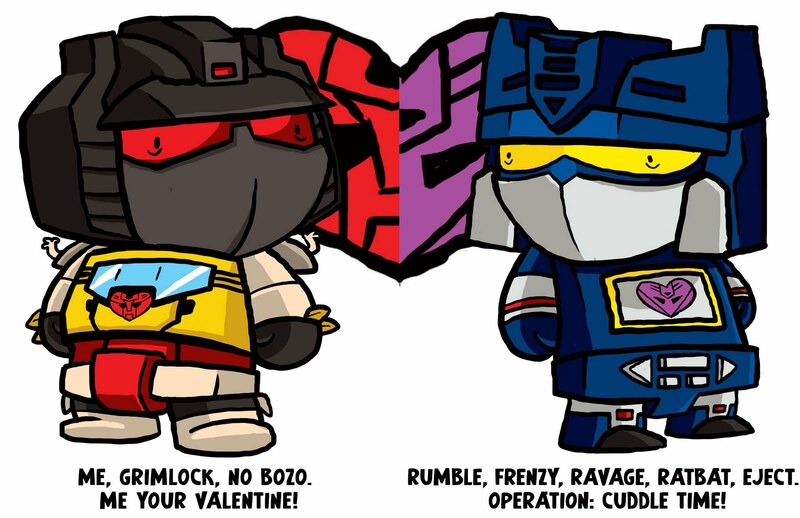 This is another Valentine’s Day set but deals with robots in disguise instead. Stowe is behind the Sidekick Quests webcomic and if you fancy owning some of his art you should check out the Sidekick Quests store. 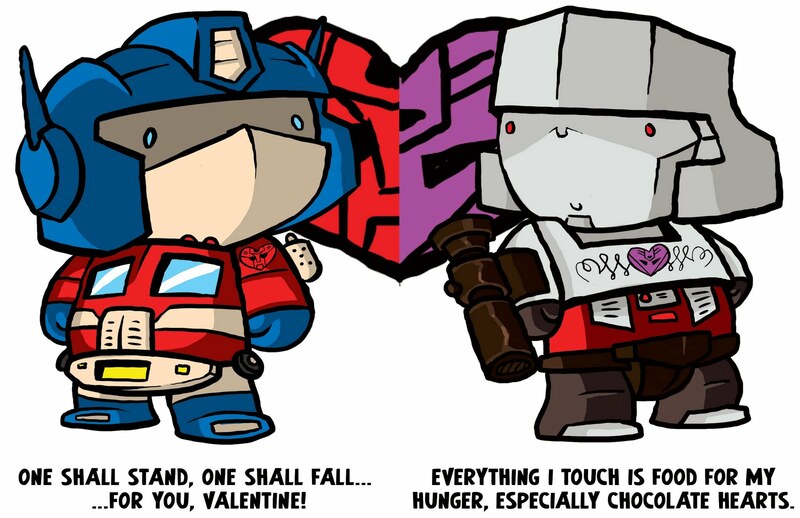 In the meantime check out these Transformer Valentine’s Day cards.